The rural market town of Bicester has expanded considerably over the past few decades from the 1970’s, including most recently the new Eco Town development which has filled up the remaining countryside between the town and the M40 motorway to the North. 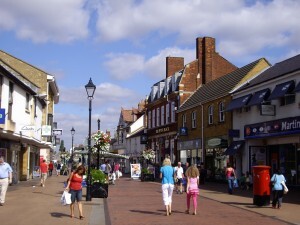 Nevertheless, Bicester has been selected by the Government for the second in a round of new Garden Cities. The garden cities originally started in the early years of the last century and expanded in a new post war surge to some towns selected for urban expansion. These became important to the new suburban post-war society, with plenty of low rise accommodation “Green” spaces. Letchworth, Milton Keynes, Cumbernauld and Corby are all well known examples of such ‘garden city’ development, which, in the post-war period at least, was meant to provide a surge in new healthy places to live in order to accommodate returning service men, boost a stagnant construction industry and cater for the ‘baby boom’. The new round of garden cities, beginning with a 15,000 home development at Ebsfleet in Kent, has now led to the high-profile approval of 13,000 new homes in Bicester and cynics will note the political and fiscal logic of enabling large scale expansion of one town like Bicester rather than having a significant level of development over a number of towns. It could be argued, for example, that there is a significant political benefit to restricting the stigma of new development at various “Tory” heartland towns in favour of a single development with obvious, politically marketable eco credentials. Bicester itself has already changed enormously. 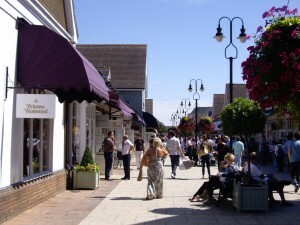 The new “Eco” town and the tremendous success of Bicester’s out of town shopping village has seen growth in the immediate area far greater than the national average. This has continued apace despite the recent national economic downturn. The area has good rail links and access to the M40, connecting it to Birmingham, London and the City of Oxford. It is hoped that the new “Garden city” will help to relieve pressure on a number of other nearby towns, and the site has the undoubted advantage of being primarily on land owned by the Ministry Of Defence (MOD) – formerly an operational military base. The increase in Land value of this area as development land is likely to contribute to the coffers of the treasury and, if this asset value remains in the MOD, this may enable the treasury to reduce expenditure on the armed forces to compensate. “The Liberal Democrats have long argued that garden cities are an idea whose time has come again. I am delighted that Bicester can now be confirmed as a pioneer in what I hope will be another wave of garden cities in this country. “Bicester will get help from the Government with both significant capital investment and in helping developers build the amenities that are required to be a true garden town. The views of local residents in Bicester have been reputedly mixed on the issue. Undoubtedly, the new development will increase demand in the town centre and businesses will be relishing the influx of new customers. For residents with fears over infrastructure capacity and the erosion of rural character centuries old, however, the prospect of 13,000 new homes will hold significantly less attraction.